The Pakistan Navy has kicked of its biannually-held multinational AMAN 2017 naval exercise in Karachi, Pakistan. This is the fifth edition such exercise which Pakistan has been holding biannually since 2007. 37 countries are participating in this event. India ranked low 43rd among the surveyed 45 nations in 2017 International Intellectual Property Index (IIPI). International Day of Women and Girls in Science is observed on February 11th each year to promote gender equality and encourage more women and girls to get involved in science and research. Women are increasingly graduating with life science degrees, however, there has been a decrease in female computer science graduates especially in developed economies, according to a UN report. The 2-day UNESCO Natural Heritage Festival began today at the Great Himalayan National Park in Sai Ropa, Himachal Pradesh. The festival will feature a media workshop on environmental journalism, discussions on natural and cultural heritage of the Himalayan region and a heritage walk. Note : GHNP was named a UNESCO World Heritage Site in 2014. After launching the Android version of the mobile payments app BHIM in December 2016, the National Payments Corporation of India (NPCI) today released the application on iOS devices. 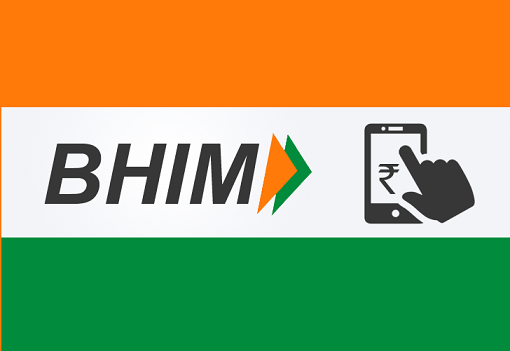 The app has a limit of ₹10,000 per transaction and ₹20,000 in a day for transfers through a bank account. Features of the app include Pay to Aadhaar number and SPAM report. The Indian Railways has claimed that it has conducted the world's largest online examination with nearly 92 lakh candidates, to fill more than 18,000 vacancies in various categories. February 14 will be celebrated as 'Matru Pitru Diwas' (parents' day) at all schools in Chhattisgarh to teach "Indian culture" to students, the BJP government announced today. The Centre is going to make all ration shops under the public distribution system Aadhaar-enabled by June 30, IT minister Ravi Shankar Prasad announced today. Claiming that ration cards in Gujarat, Andhra Pradesh and Rajasthan have been made Aadhaar-enabled, Prasad added that 20 lakh Aadhaar-enabled point of sales (PoS) machines for delivery of rations will be rolled out soon. All India Council for Technical Education (AICTE) will conduct a single exam for engineering and architecture from 2018. At present, many states conduct their own engineering examination or admissions are done on the basis of Class 12 marks. Further, students seeking admission to the Indian Institutes of Technology (IITs) will have to clear the JEE-Advanced after taking the engineering entrance exam. The Karnataka government tabled a bill in the Assembly to facilitate traditional buffalo race 'Kambala' and bullock cart races. The proposed legislation seeks to amend the Prevention of Cruelty to Animals Act in its application to Karnataka. This comes after the Tamil Nadu government passed a law to overturn a Supreme Court-imposed ban on traditional bull-taming sport Jallikattu. The DPO will be a vertical under the Union Defence Ministry. It will simplify the defence purchase procedure by integrating procurement processes. Indian Space Research Organisation (ISRO) will carry a record 104 satellites in a single mission on February 15 from its space centre in Sriharikota, Andhra Pradesh. In the launch, ISRO's Polar Satellite Launch Vehicle will carry Cartosat-2 series satellite for earth observation and 103 other co-passenger satellites. Note : Of the 103 satellites, 101 of them are nano-satellites. India today successfully test-fired its Advanced Air Defence (AAD) interceptor missile dubbed as Ashwin from launching complex-IV of Dhamara Abdul Kalam defence base off Odisha coast. The test assed missile’s killing capability by intercepting a target, mimicking an incoming enemy missile in mid-air. The success of test has boosted India’s position in the exclusive club of AAD countries United States, Russia and Israel. Sir Peter Mansfield (83), known for pioneering body scanning technique Magnetic Resonance Imaging (MRI), passed away. He was awarded 'The Nobel Prize in Physiology or Medicine in 2003', for discoveries concerning the MRI. The government today appointed senior IAS officer Ajay Tyagi as the Chairman of markets regulator, Securities and Exchange Board of India (SEBI). He will replace UK Sinha, whose extended tenure ends on March 1, 2017. Tyagi is currently Additional Secretary (Investment) in the Department of Economic Affairs and handles capital markets, among other responsibilities. Transgender model Martina Robledo will be the first ever transgender person to serve as a 'trophy handler', the people who bring the trophies on stage, at the upcoming Grammy Awards. The ability to present a trophy has nothing to do with one's gender," said the president of the Recording Academy. Veteran fashion designer Manish Arora has been invited to represent India at a special reception held at London's Buckingham Palace. The reception will be held to mark the beginning of the UK-India Year of Culture. Renowned sand artist Sudarsan Pattnaik has set a Guinness World Record by building the world's tallest sand castle, which stood 48 feet and 8 inches tall. Pattnaik broke the previous record of 45 feet and 10 inches, which was created at Miami beach, US in 2005. Former Argentine player Diego Maradona has been given an ambassadorial role by football governing body FIFA. NBA has become the world's first sports league to have its own eSports league, which will debut in 2018. The gaming league will have the same schedule as the regular season, with existing NBA teams running their online counterparts. The league will be a global competition, with teams having the option to sign players who don't participate in the draft. Nepal opener Padam Bahadur Badaila scored a double century in the ongoing Blind Cricket World Cup during the team's match against New Zealand in Karnataka today. Nepal won the match by 141 runs but finished eighth in the tournament.